During the Third Debate, the question about the outflow of gold from the USA reserves took place and setoff a panic in the London gold market whereby gold rallied to $40 for the first time showing that the Bretton Woods System was indeed collapsing. The United States outflow of gold was not really from a trade deficit, but from the fact that the USA was defending the world with its military establishing bases everywhere. That meant capital was leaving. 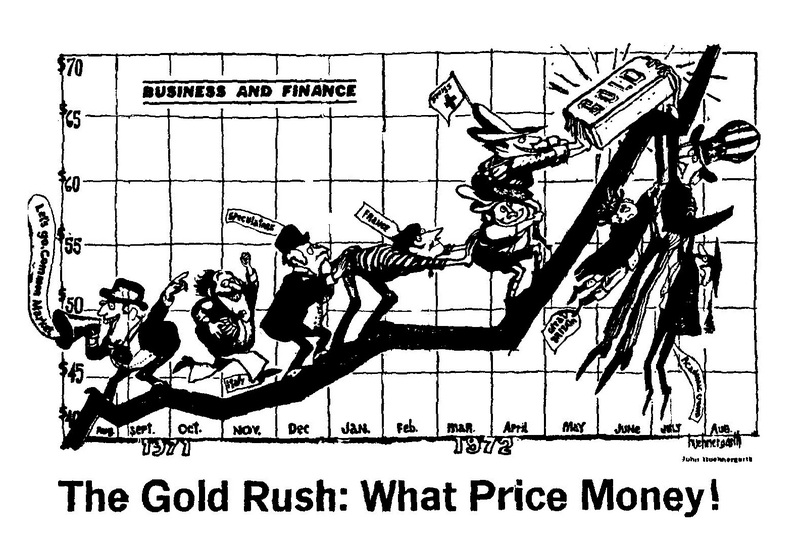 Gold would rally again up to $40 in the lat 1960’s and finally it forced the collapse of the convertibility of gold under the Bretton Woods System in 1971. MR. VON FREMD: Mr. Vice President, in the past three years, there has been an exodus of more than four billion dollars of gold from the United States, apparently for two reasons: because exports have slumped and haven’t covered imports, and because of increased American investments abroad. If you were president, how would you go about stopping this departure of gold from our shores? MR. NIXON: Well, Mr. Von Fremd, the first thing we have to do is to continue to keep confidence abroad in the American dollar. That means that we must continue to have a balanced budget here at home in every possible circumstance that we can; because the moment that we have loss of confidence in our own fiscal policies at home, it results in gold flowing out. Secondly, we have to increase our exports, as compared with our imports. And here we have a very strong program going forward in the Department of Commerce. This one must be stepped up. Beyond that, as far as the gold supply is concerned, and as far as the movement of gold is concerned, uh – we have to bear in mind that we must get more help from our allies abroad in this great venture in which all free men are involved of winning the battle for freedom. Now America has been carrying a tremendous load in this respect. I think we have been right in carrying it. I have favored our programs abroad for economic assistance and for military assistance. But now we find that the countries of Europe for example, that we have aided, and Japan, that we’ve aided in the Far East; these countries – some our former enemies, have now recovered completely. They have got to bear a greater share of this load of economic assistance abroad. That’s why I am advocating, and will develop during the course of the next Administration – if, of course, I get the opportunity – a program in which we enlist more aid from these other countries on a concerted basis in the programs of economic development for Africa, Asia and Latin America. The United States cannot continue to carry the major share of this burden by itself. We can a big share of it, but we’ve got to have more help from our friends abroad; and these three factors, I think, will be very helpful in reversing the gold flow which you spoke about. 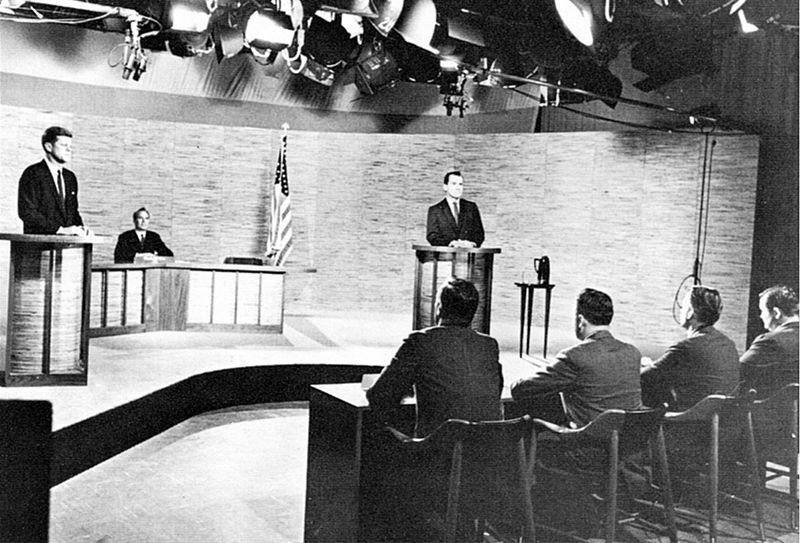 MR. KENNEDY: Just to uh – correct the record, Mr. Nixon said on depletion that his record was the opposite of mine. What I said was that this matter should be thoroughly gone into to make sure that there aren’t loopholes. If his record is the opposite of that, that means that he doesn’t want to go into it. Now on the question of gold. The difficulty, of course, is that we do have heavy obligations abroad, that we therefore have to maintain not only a favorable balance of trade but also send a good deal of our dollars overseas to pay our troops, maintain our bases, and sustain other economies. In other words, if we’re going to continue to maintain our position in the sixties, we have to maintain a sound monetary and fiscal policy. We have to have control over inflation, and we also have to have a favorable balance of trade. We have to be able to compete in the world market. We have to be able to sell abroad more than we consume uh – from abroad if we’re going to be able to meet our obligations. In addition, many of the countries around the world still keep restrictions against our goads, going all the way back to the days when there was a dollar shortage. Now there isn’t a dollar shortage, and yet many of these countries continue to move against our goods. I believe that we must be able to compete in the market – steel and in all the basic commodities abroad – we must be able to compete against them because we always did because of our technological lead. We have to be sure to maintain that. We have to persuade these other countries not to restrict our goods coming in, not to act as if there was a dollar gap; and third, we have to persuade them to assume some of the responsibilities that up till now we’ve maintained, to assist underdeveloped countries in Africa, Latin America and Asia make an economic breakthrough on their own.